I’ve been to Banaue twice. I’ve walked around town, hiked to Batad, and swam in Tappiyah Falls. Unfortunately, it was pre-blogging days so I didn’t take notes of my travels, and my photos were low-res. 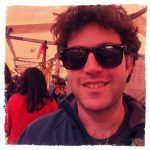 I was glad that Noam Toister, an entrepreneur from Israel, offered to write a guest post on his honeymoon trip to Banaue for my blog. It makes me wish I can go back there again! When you think of traveling the Philippines, the first things that come to mind (and to Google) are amazing beaches, blue lagoons, and wide-eyed miniature mammals. While all of these are amazing for themselves, the north of the Philippines has one of the most amazing mountain views you’ll see. These mountains are the house of 2000-year-old rice terraces, which are referred to as the eighth wonder of the world. Admittedly, there seems to be quite a few eighth wonders out there, but don’t hold it against Batad. It’s still a place you shouldn’t miss if you visit the Philippines. 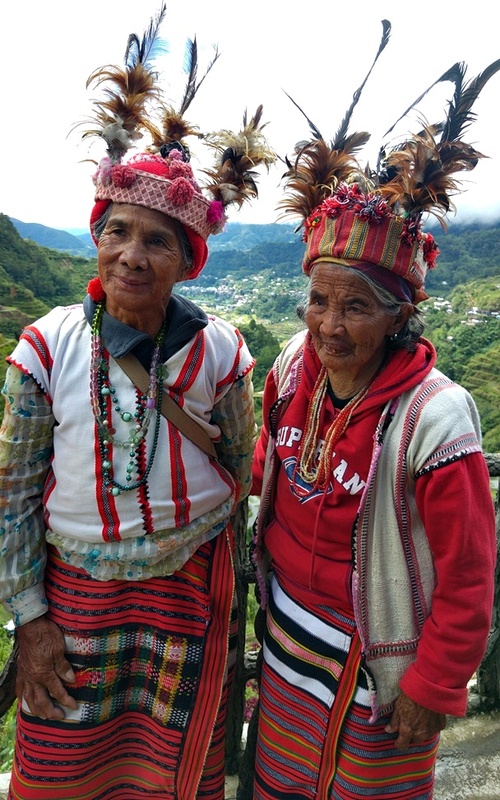 The province itself is called Ifugao, and has a few villages that have become tourist attractions. 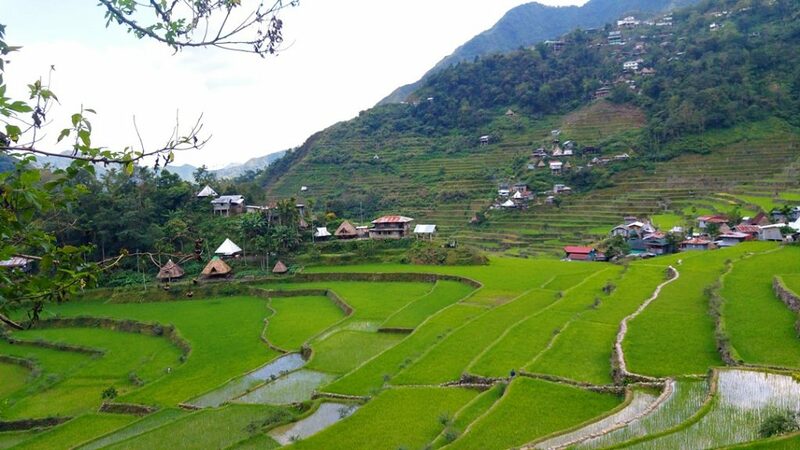 In Banaue, for example, there’s the villages of Batad and Hapao. If you’re into trekking, you can walk for a few days between these villages. You should ask locally though what the recommended routes are. In this post I’ll share experiences from the places I’ve visited — Hapao and Batad. The way to Banaue and the Ifugao area is, like many other long rides, a price you need to pay to experience awesome places. The way from Manila to Banaue takes about 9 hours (give or take, traffic may add about 2 hours), and you can do it by bus. Another option is flying to Baguio and taking a bus from there, but from looking at the times, it seems it doesn’t save much. The buses are operated by a few companies, the most well known in Manila is called Ohayami Transit. They operate a daily night bus which leaves their station (located at the Sampaloc area) every evening at about 9pm-10pm. Sometimes in the high season they will have a few buses leave together. You can buy the tickets online from Banaue Bus — it saves the ride back and forth to the station which is pretty far away from the center. While the outside temperature may be boiling, the buses have chilling air-conditioning, to the level of needing a blanket, so make sure to bring something warm to cover you up. Any pleads to the driver are hopeless — seems they like it cold. The bus makes three stops along the way for food and toilet. When you arrive at the station in Banaue, there will most likely be local representatives of hotels attempting to lure you to their place. It’s not necessarily bad since some of them will have great places, but you should know that most of the hotels are pretty close to each other, so you can go and compare for yourself. Also, if they tell you that you have to go with them for some reason or other (e.g., in getting the return ticket, or they are the “official” ride), don’t. They will most likely take you to their hotel and sell you lunch while you wait. I personally stayed at the Uyami Green View Lodge, and it was good. It had basic facilities with friendly service. Batad has the biggest rice terraces around, and most visitors will make this village their main attraction in the area. 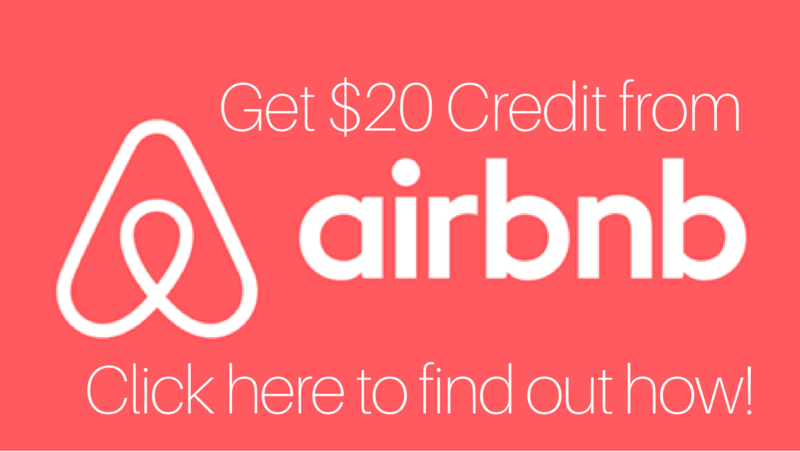 To get there, you’ll need to catch a van or a bike for about an hour’s ride. The road goes almost all the way to the village (15 minutes’ walk away), but some drivers will tell you they can’t get all the way down — either because their bike is not strong enough, or because they want you to schedule a return pick-up with them, and don’t want you to see that there are lots of other vehicles down the road. A jeepney also goes to Batad from Banaue every morning — ask in your hotel for specific times. You can stay the night in Batad. However, being a very distant village, the facilities and hotels there are not great. Let’s say that if clean linens and a private bathroom is a basic demand for you, you might want to return to Banaue on the same day. Having said that, there is nothing like sitting on your guesthouse’s porch, drinking beer in front of this amazing view. We did that in the Hillside Inn which also had some nice food. The most common hiking trail in Batad is to Tappiyah Falls. It’s a couple of hours hike, with a great view of the terraces on the way. The falls themselves are nice, but you do have a pretty steep climb on the way back. In general, the inclines in Batad are cruel — only walking from one guesthouse to another involves steep stairs that might leave you breathless. The rice terraces in Batad. One more thing: there are lots of tour guides everywhere. These guys will either be certified guides, or some random person with a van. I’m not sure it matters. The point, however, is that for most activities you don’t really need a guide. Sure, it’s easier to find the way with one, but you don’t have to. In most cases you can get along perfectly fine by just asking the locals where to walk. 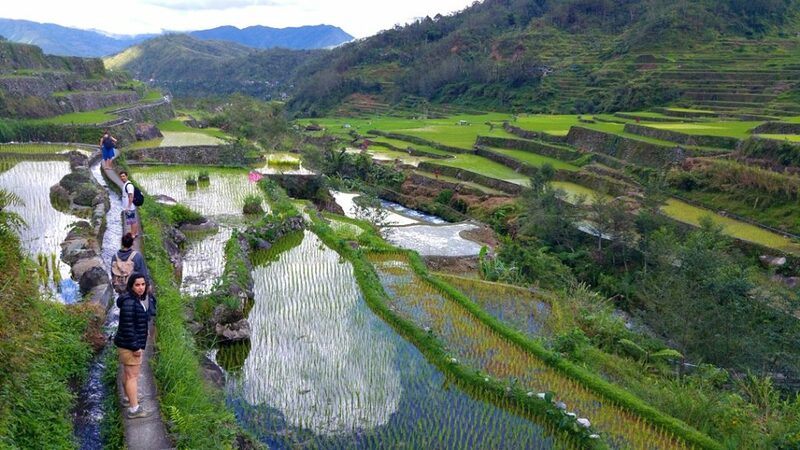 While most of the guides mention Batad as the rice terraces, I think Hapao’s terraces are actually the most beautiful ones, and their picture is probably the one most recognized with the area. 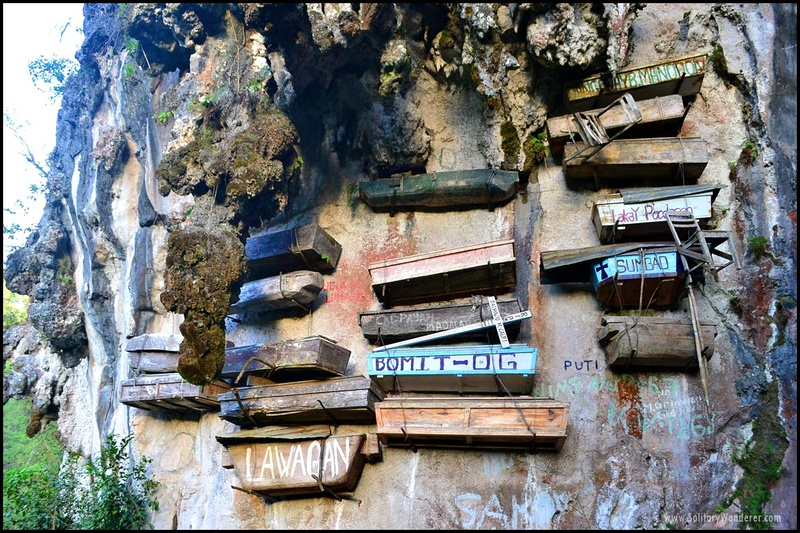 The best way to see them is to take an hour’s hike which starts a short drive from Banaue. The hike goes above and through the flooded terraces, and leads to a hot water spring in which you can bathe. The view of the water in the rice fields reflecting the sky is spectacular, and the spring is a great rest after the walk. As a spring, it’s not the best you’ve ever seen, but the way there is worth it. To sum it up, all together I would plan two to three days for Banaue and Batad, depending if you want to sleep in Batad. Either way, don’t miss it. Noam Toister is an internet geek with two addictions — traveling and entrepreneurship. After managing a camping store and later a mobile ad startup, he thought he might try to combine the two. He’s still working on it. He lives and works in Tel-Aviv. You can connect with him on Twitter or LinkedIn. Banaue is nice, although I prefer Sagada more as its a but more remote and less tourists. Does the buses are operated by a few companies, the most well known in Manila is called Ohayami Transit? Only that bus company goes straight there. 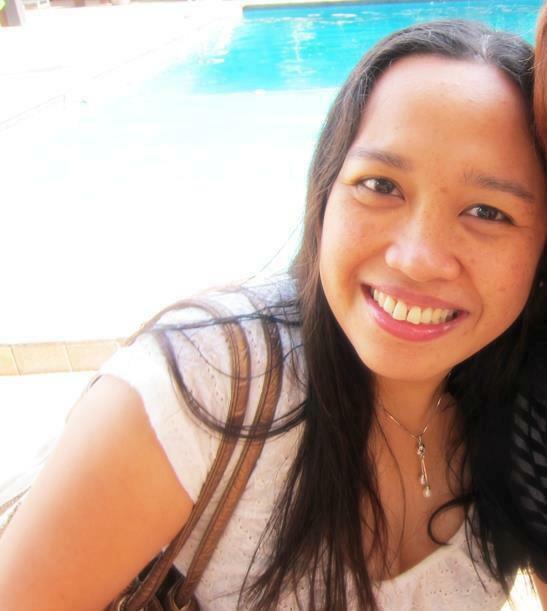 The others go via Baguio City. 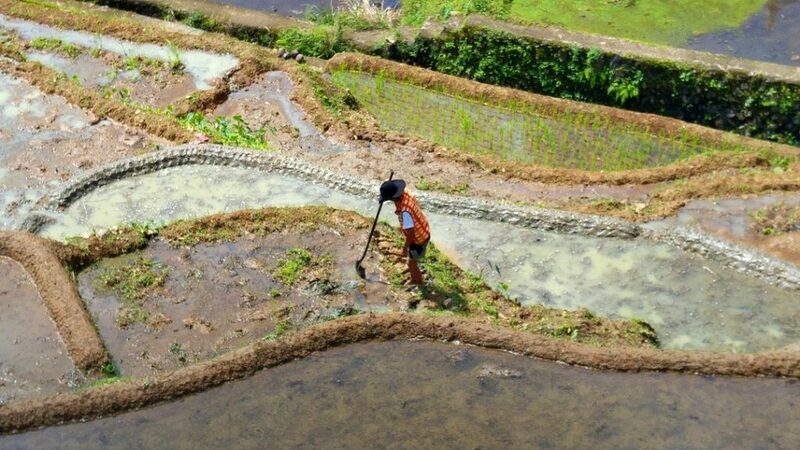 Great list of things to do in Banaue. Of course, the Philippines are famous for their beaches but it’s terrible to reach about what else the country has to offer. Yeah the beaches here are gorgeous! Nice! We have been to Banaue, but that was because it was a stopover on our way to Sagada. I spent several days there, but that was like 9 years ago haha I want to go back!